ADIDAS has brought a new twist to the classic slide branding proudly with contrasting 3-Stripes to the forefoot straps. 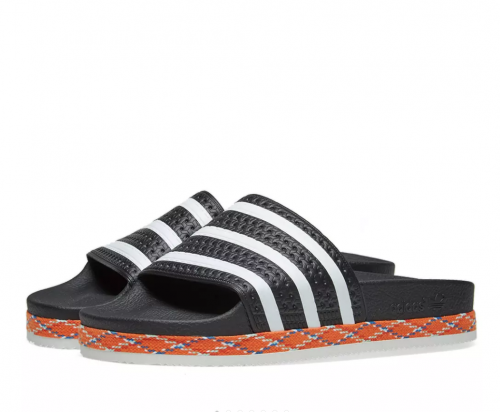 But this pair of women’s Adilette “New Bold” sandals from adidas are also dressed in a sleek monochromatic colorway this season, detailed with a colorful braided midsole. These pool ready slides are sure to add a perfect colorful accent to any look this summer. You can go HERE to get them before summer is over but it wont matter with the global warming as there will be a delay to fall.